Nothing says summer like hanging out with your dog. Woof up the month of June with these pawtastic June 2018 dog events. If you’ve got an event you’d like to see featured here, please send it to dogstermag@belvoir.com, and put EVENTS in the subject line. 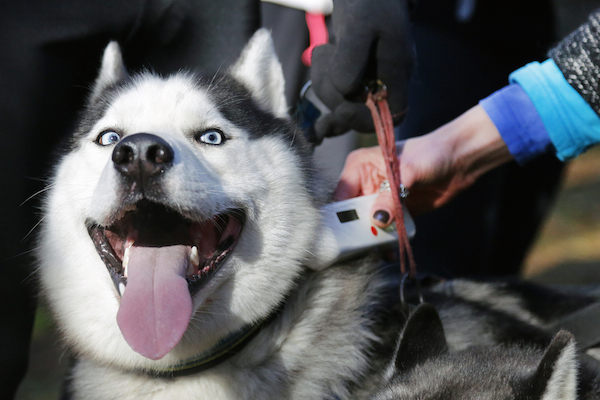 Dog getting his microchip scanned. Photography by Migle Narbutaite / Shutterstock. Pints for Paws fundraiser. Photography by Diane Walsh. 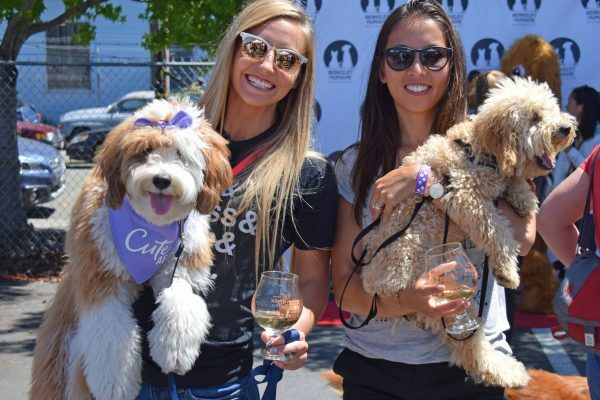 Raise a glass for animals at this 5th annual craft beer fundraising festival in Berkeley, California, that 100 percent benefits Berkeley Humane. Festival-goers will receive a souvenir glass and unlimited tastings of a wide selection of unique offerings. You’ll also meet adoptable animals and enjoy live music and food trucks. General admission is $65 and VIP admission is $100. Event runs from 2 to 5 p.m. Celebrating its 4th year, this event honors the life of Catherine Hubbard, who was tragically slain during the 2012 Sandy Hook Massacre. The Butterfly Party pays tribute to her life by continuing her dream of one day working with animals and spreading love and kindness to animals and all beings. Last year over 3,000 people attended and over 50 adoptable pets found loving new homes. 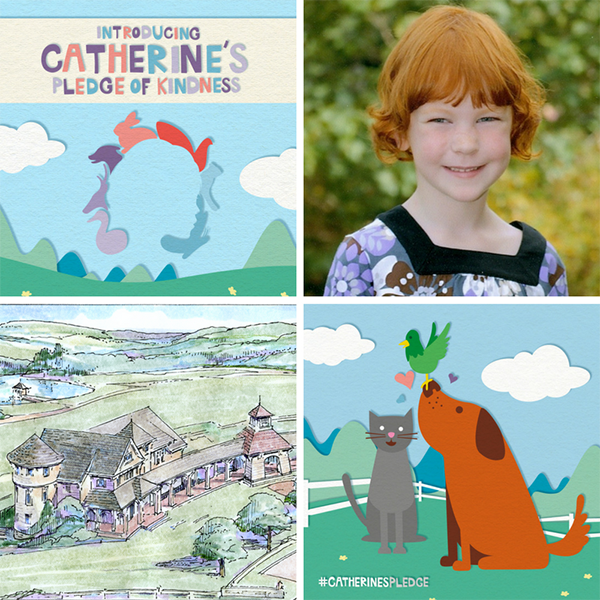 Funds raised by this event support the building and development of the official Catherine Violet Animal Sanctuary, a future destination for animal and wildlife care in Newtown, Connecticut. World Dog Expo. Photography courtesy World Dog Expo. Spend your weekend watching seven dog sports, visiting over 100 vendors, and checking out seminars, demos, and celebrities like Shorty Rossi and Felix the Pug. Plus, play with adoptable dogs, get doggie tattoos and gems, have a beer for yourself and a dog-safe beer for your pup, and so much more. 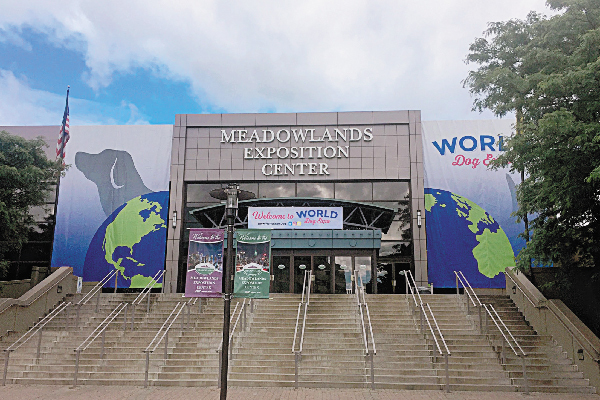 It’s all happening at the second annual World Dog Expo held at the Meadowlands Exposition Center in Secaucus, New Jersey. Boundaries. Photography courtesy Sony Classics. Twitter and Instagram @SonyClassics. 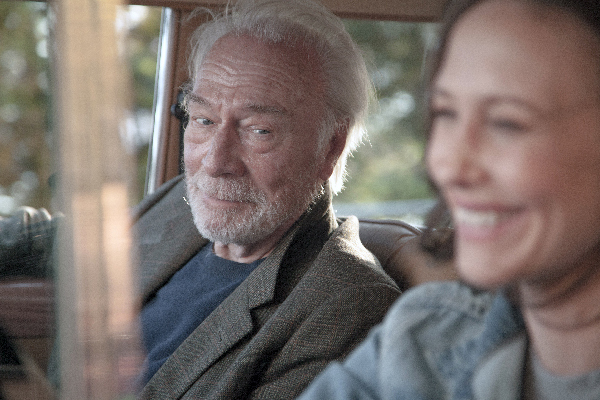 Shana Feste’s Boundaries film from Sony Classics stars Christopher Plummer and Vera Farmiga as a father-daughter duo on the road trip of a lifetime. It’s also an animal-rescue story featuring furry friends aplenty! Check out the Facebook page and view the Boundaries trailer here. Created back in 1999 by Pet Sitters International, this holidays reminds us of the many positive benefits of taking your dog to work. 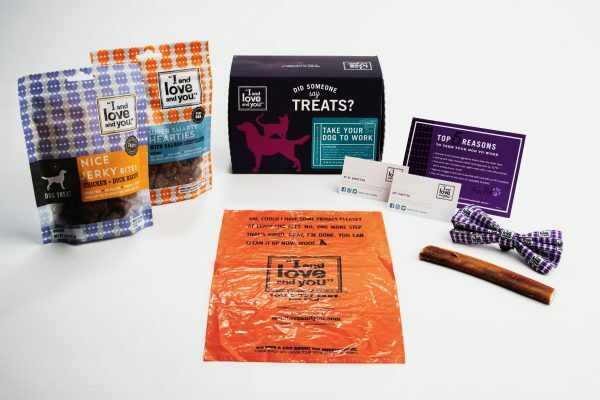 This year’s Take-Your-Dog-To-Work-Day official partner — natural pet food company I and Love and You — celebrates with an official “kit,” filled with everything your dog needs to go to work with you. Share photos of you and your dog at work by tagging @iandloveandyoupet. 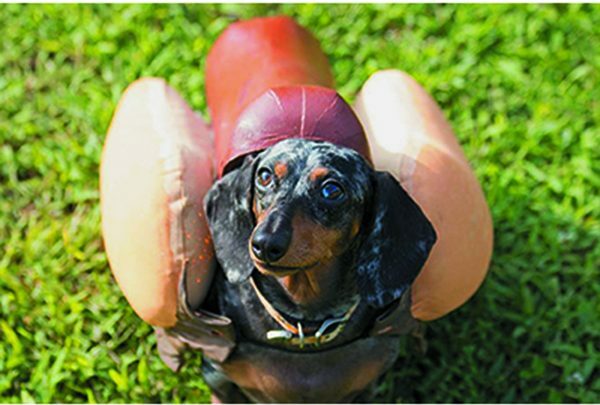 You and your dog will love the Wienerfest Home County Festival in Embro, Ontario — any dog can come, even if he’s not a Dachshund. Enter the Bobbing for Wieners, Yogurt Licking and Costume contests. There will be a lure course, an agility course and a barn hunt your dog won’t want to miss. Shop with all the vendors, or get a tattoo. Everything supports a good cause: The Tiny Paws Dog Rescue of Canada. The Mid-America Working Terrier Association (MAWTA) is holding two A-rated, Jack Russell Terrier Club of America-sanctioned Terrier trials in Norfolk, Nebraska. There will be flat and hurdle racing, conformation, go-to-ground, super earth, barn hunt and lure events. See the Facebook page for details. 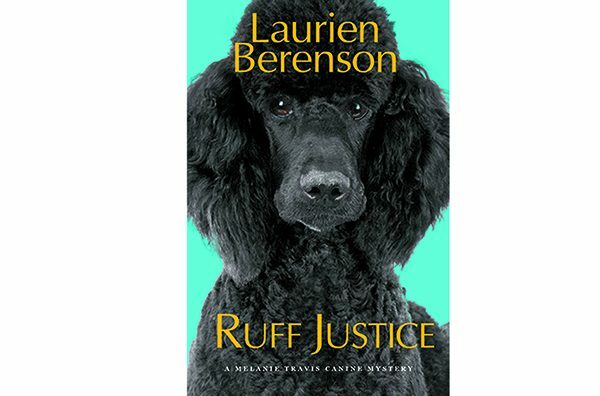 It’s a perfect time to snuggle with your dog and read Laurien Berenson’s latest Melanie Travis Canine Mystery, Ruff Justice, which comes out today. In the book, it’s spring dog show season and mysteries abound — a talented canine portrait artist is found dead and Melanie’s renter — dog sitter Amanda — disappears. Melanie is determined to solve both mysteries while juggling teaching and showing her prize-winning Poodles. $26 Hardcover ($28.95 Can), published by Kensington Publishing Corp.
Thumbnail: Photography courtesy Melissa L. Kauffman. How Cute Is This Pug 3-D Birthday Card From Lovepop? The post Dug Up at Dogster: June 2018 Dog Events appeared first on Dogster.